If it was a sweet victory for the Socialists, it was one of the only bright spots of a very brutal round of municipal elections nationwide for the party and for its unpopular president François Hollande. The Socialists lost Toulouse, Angers, Quimper, Reims and Saint-Étienne — and the left lost power in Limoges for the first time since 1912. Marine Le Pen’s far-right Front national (FN, National Front) won control of 11 towns across France — though that’s not a lot, it’s a record victory for the Front national, and it will give Le Pen even more momentum to nudge the party, once known primarily for its anti-Semitism and xenophobia, into the mainstream French right. Since becoming leader of the party in 2011, succeeding her father Jean-Marie Le Pen, Le Pen won 17.9% in the first round of the May 2012 presidential election, and the Front national could emerge as the winner of the European parliamentary elections in France on May 25. In Marseille, the UMP’s Jean-Claude Gaudin, the city’s mayor since 1995, won yet another term despite his advanced age (74) and rumors that he might retire this year following a narrow reelection victory against the Socialist Party in 2008. Patrick Mennucci, the Socialist candidate, finished far behind in second place, despite falling behind both the UMP the Front national in the first round. Gaudin ultimately won the race by a margin of 42.4% to 31.1%. The Front national candidate, Stéphane Ravier, running for the second time as the FN mayoral candidate, still won 26.5% of the vote. Perhaps even more significantly, the FN won control of the 7th sector in Marseille. The Front national has traditionally won much of its strongest support in France’s southeast, and Marseille is no exception. But the FN’s gains are notable. 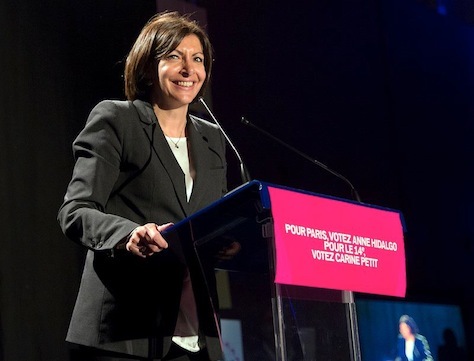 Among France’s 15 most populous cities, Socialists (or leftists) held onto seven cities, including Paris, Nantes, Strasbourg, Montpellier, Rennes and Lille, where former French social affairs minister Martine Aubry has served as mayor since 2001. In Lyon, France’s third-most populous city, Socialist mayor Gérard Collomb easily won reelection. The UMP held onto five cities, including Marseille, Toulon and Bordeaux, where former foreign minister Alain Juppé serves as mayor. The UMP’s Christian Estrosi easily won reelection in Nice, France’s fifth-largest city. The UMP wrested control of three of the largest 15 cities, including Saint-Étienne and Reims. The biggest prize is Toulouse, France’s fourth-most populous city, where the UMP’s Jean-Luc Moudenc ousted Socialist mayor Pierre Cohen.